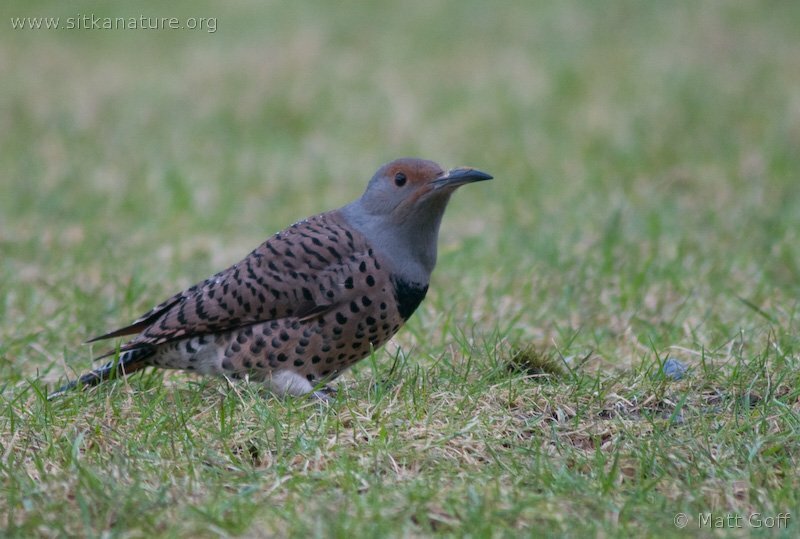 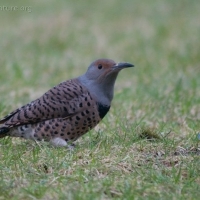 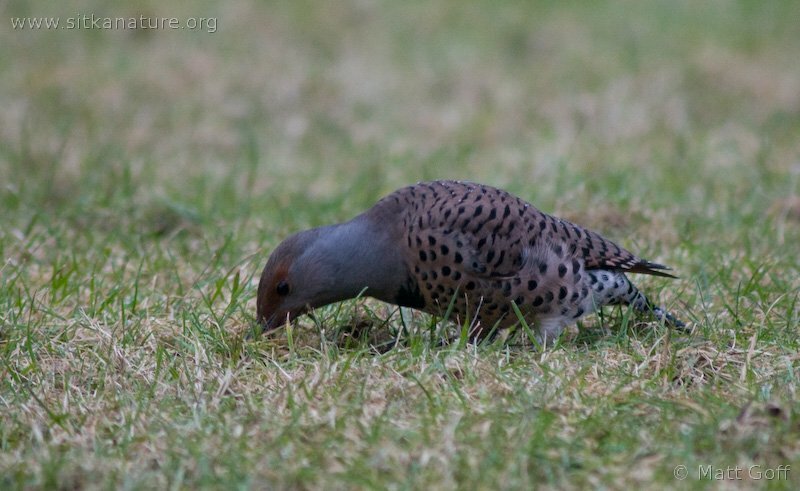 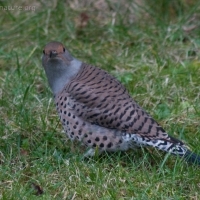 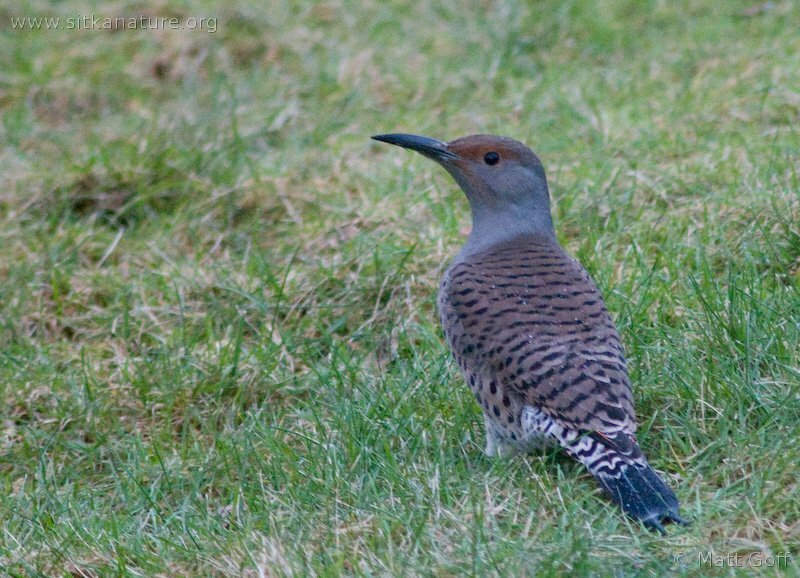 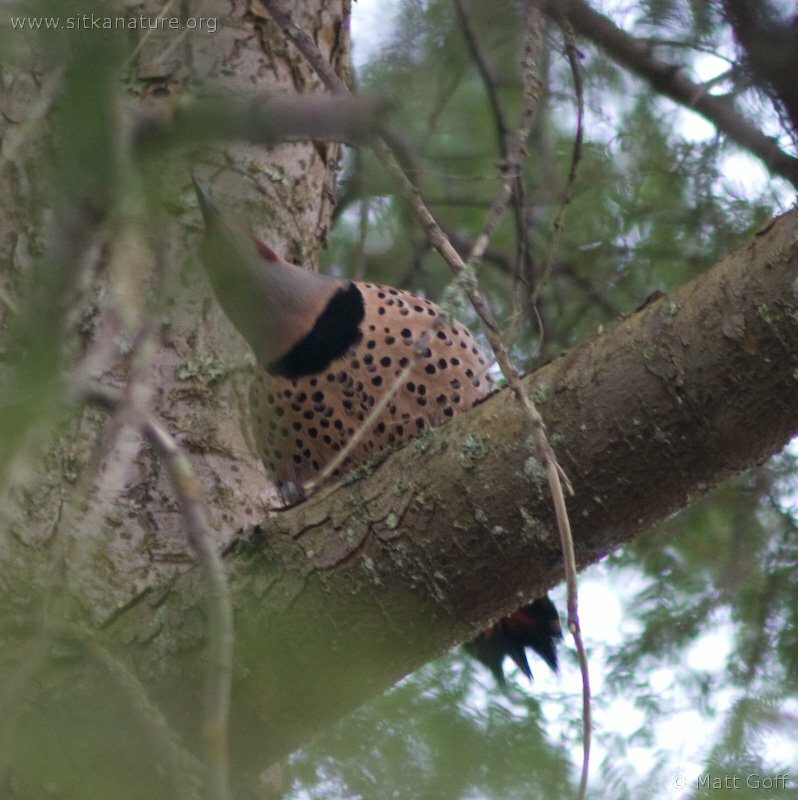 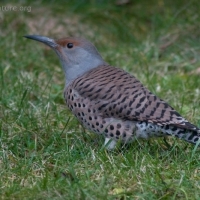 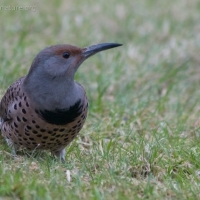 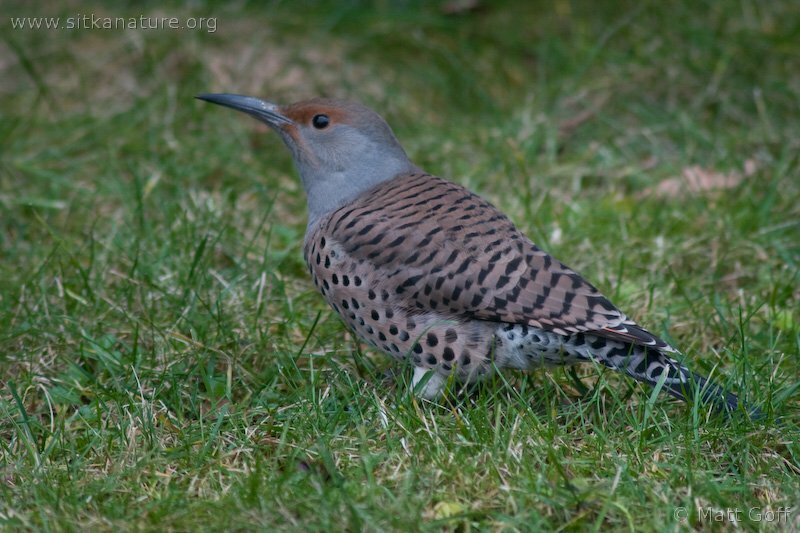 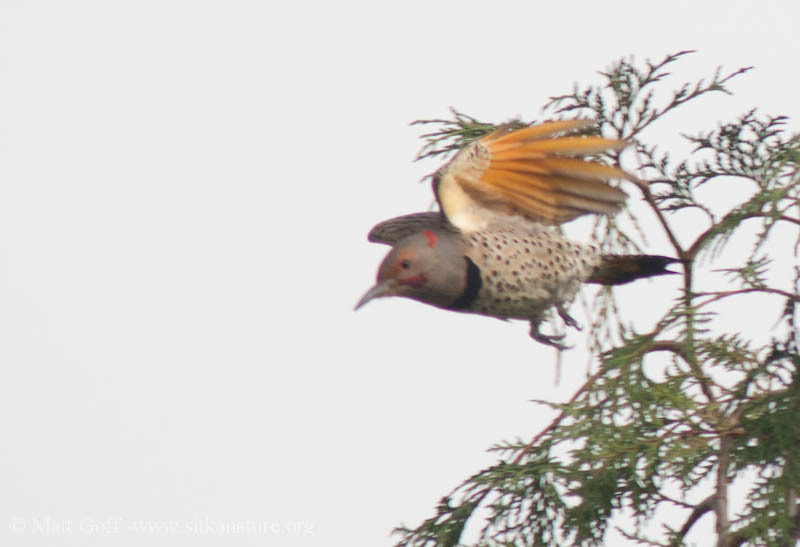 A distinctive bird, Northern Flickers are a kind of woodpecker, the only one you are likely to see feeding on the ground. 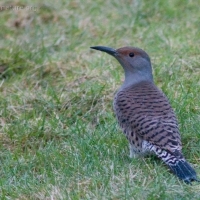 They are considered Uncommon to Rare in most of Southeast Alaska. 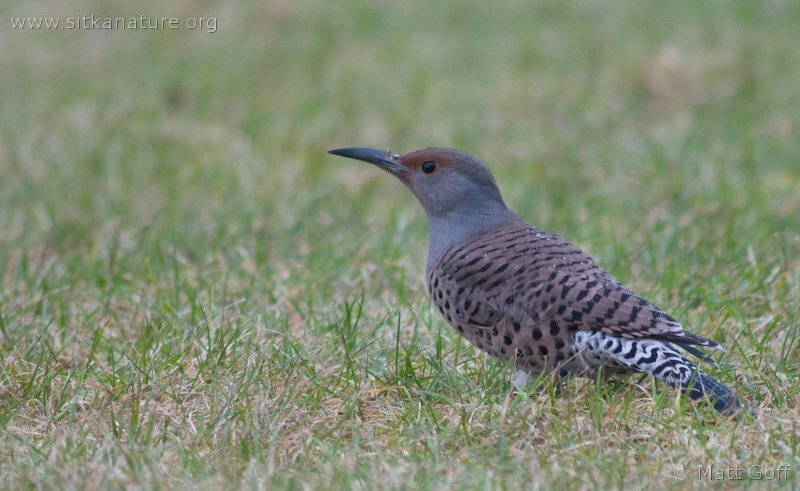 They seem to be most common during migration, but are also known to nest and over-winter in at least some parts of the region. 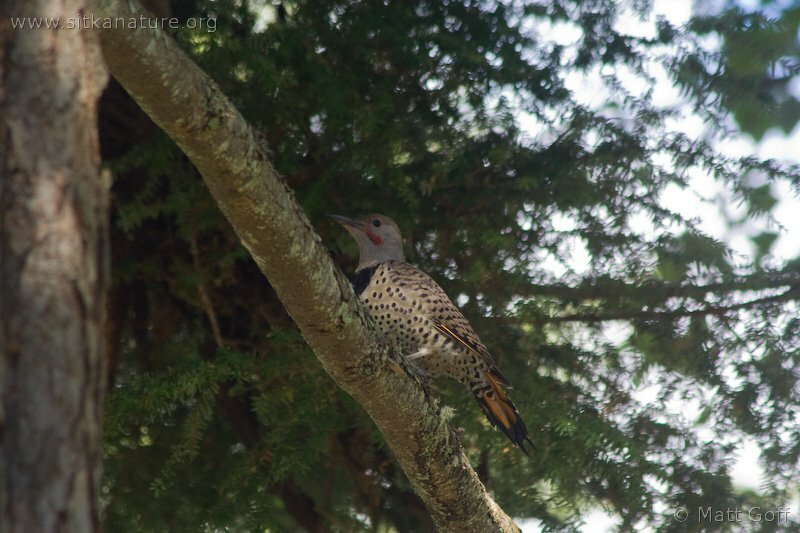 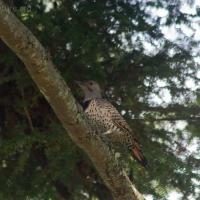 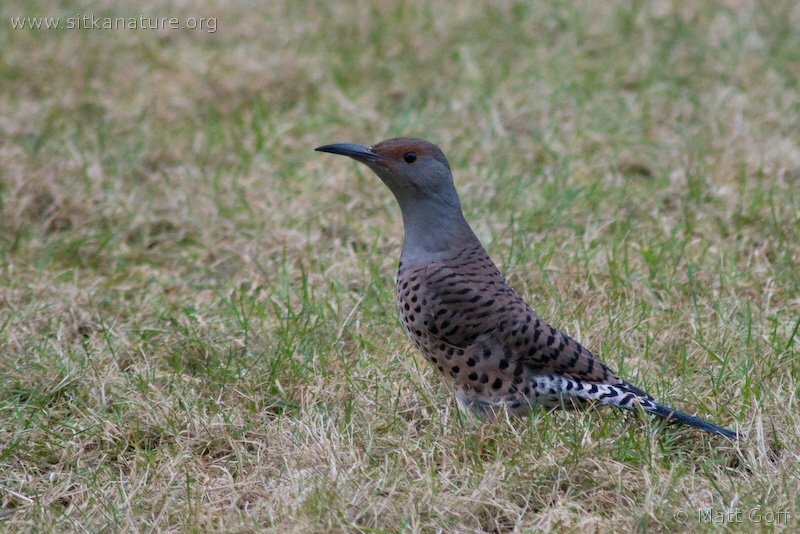 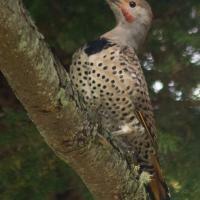 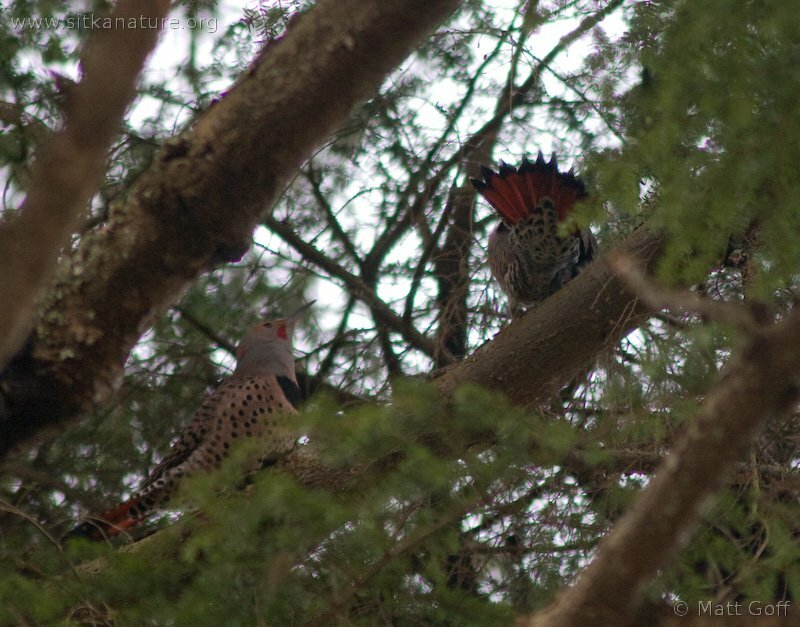 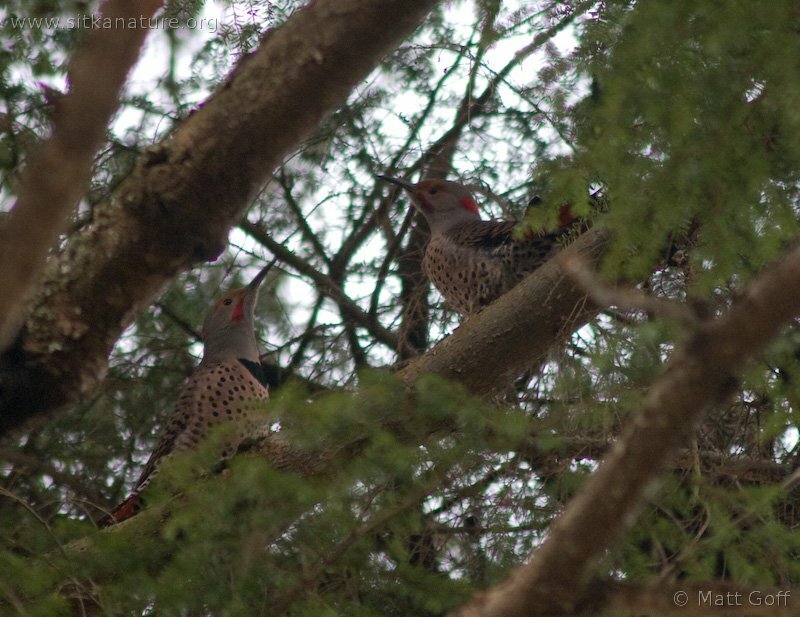 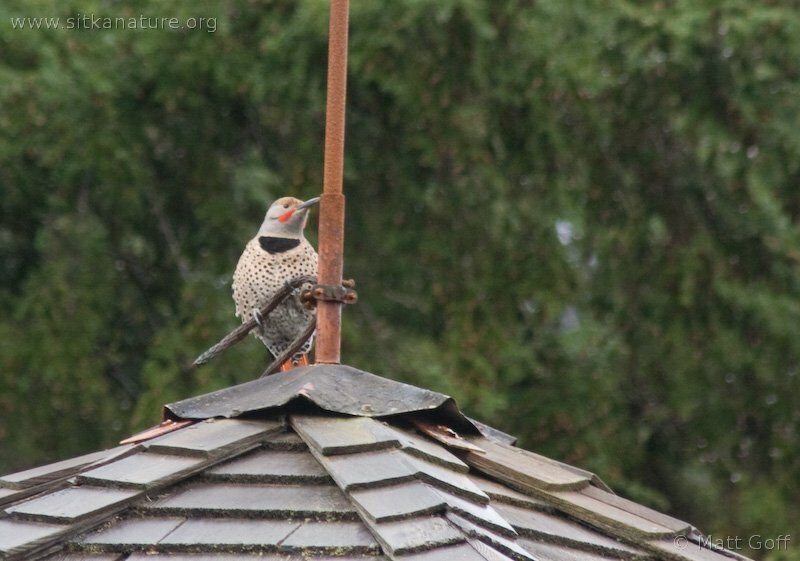 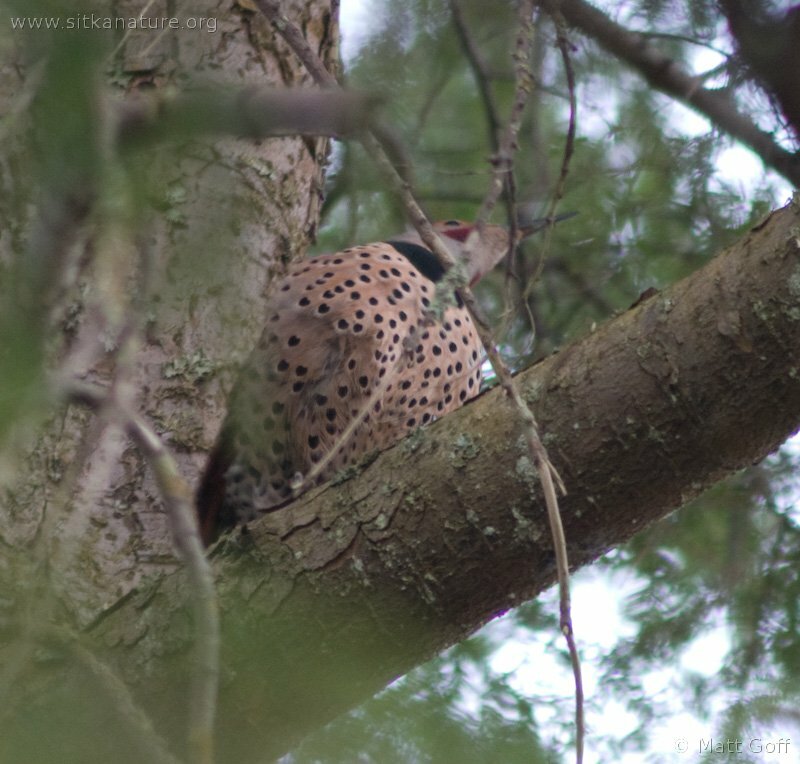 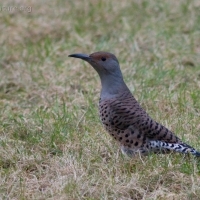 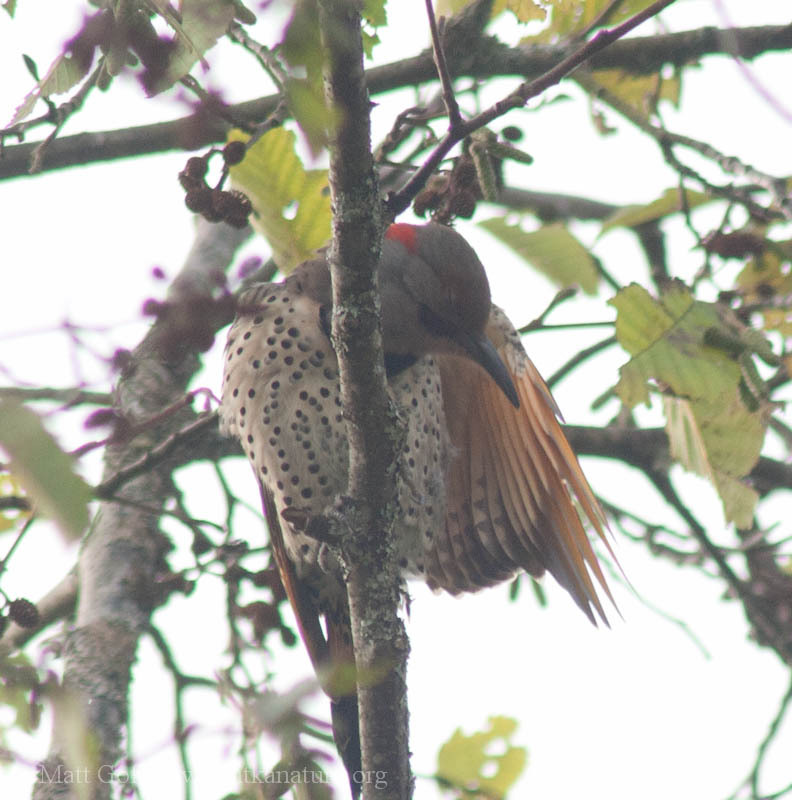 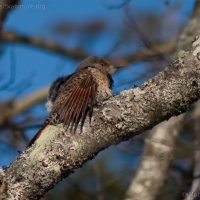 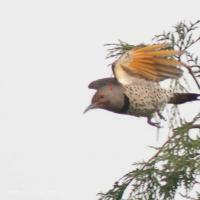 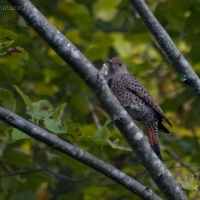 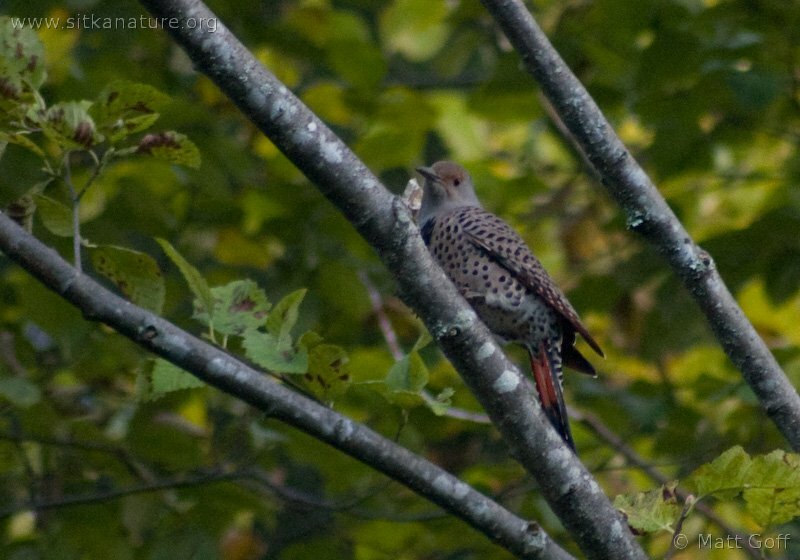 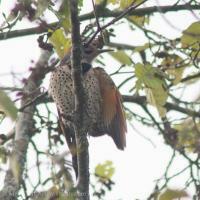 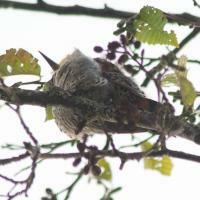 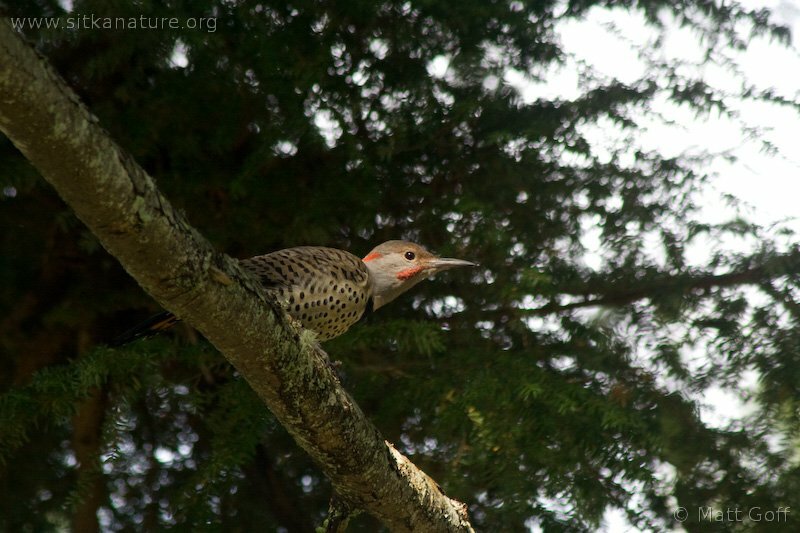 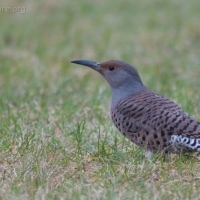 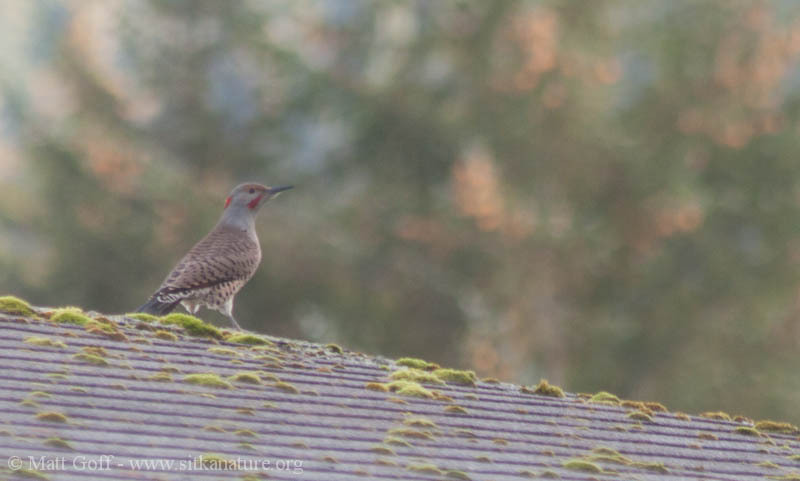 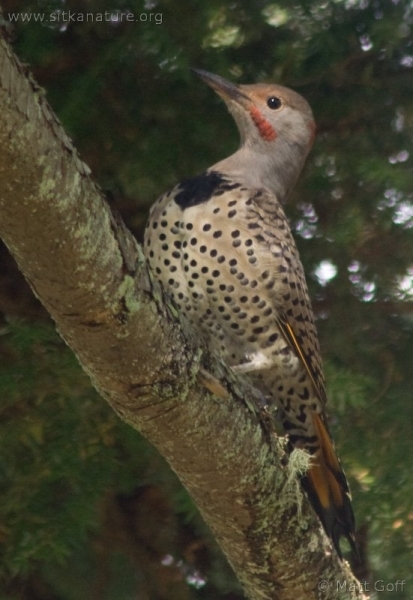 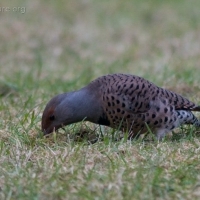 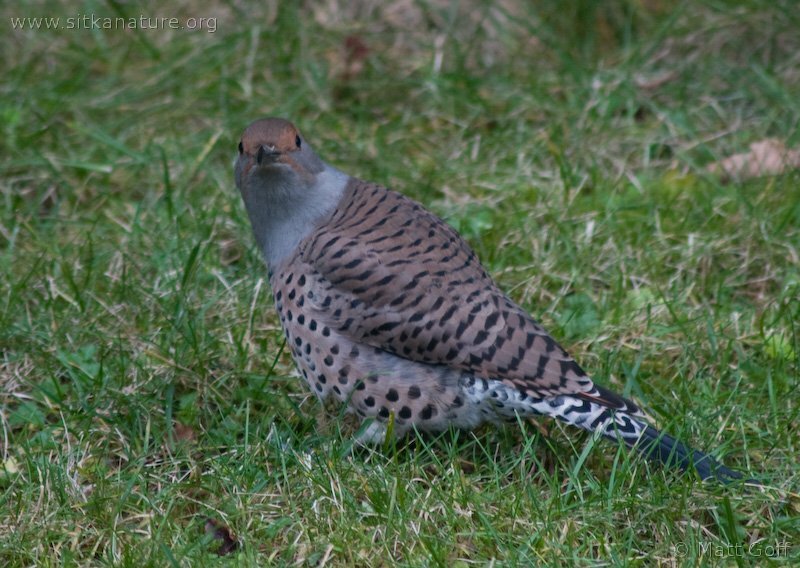 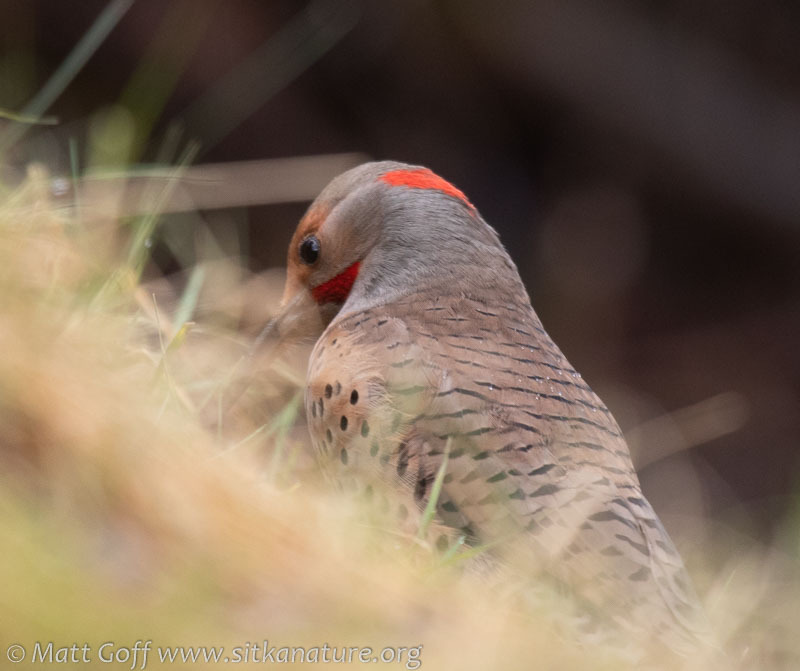 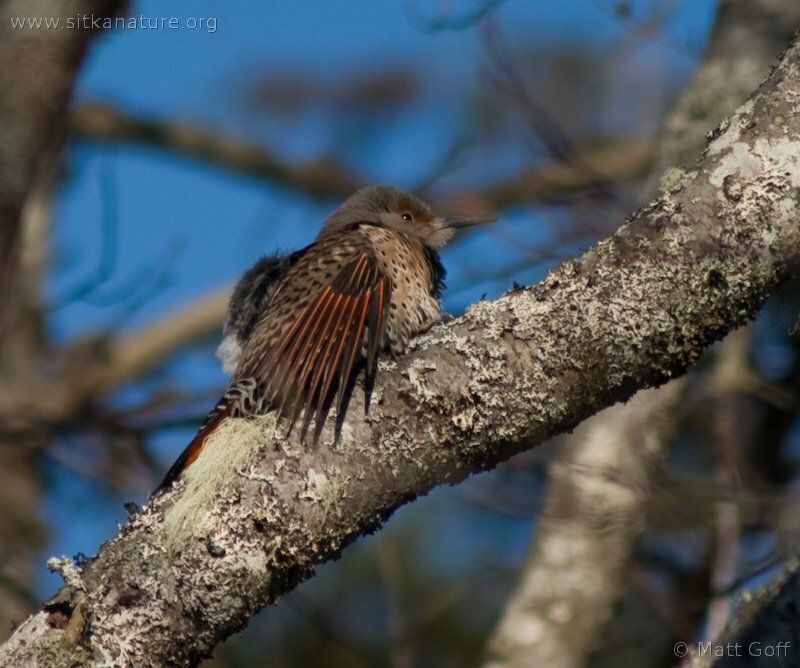 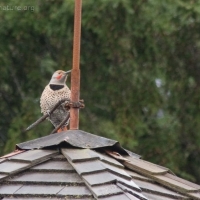 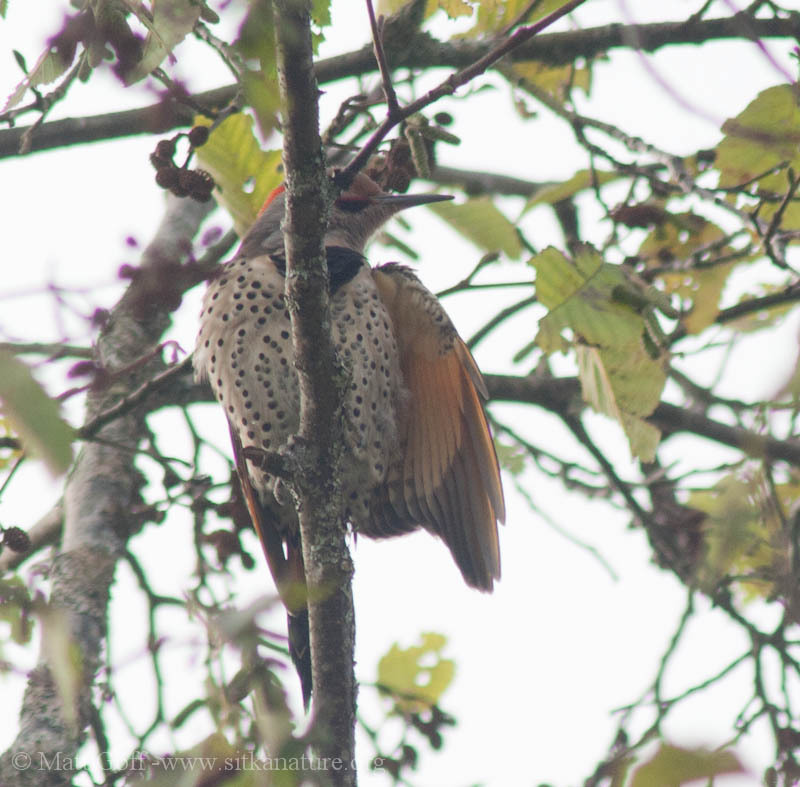 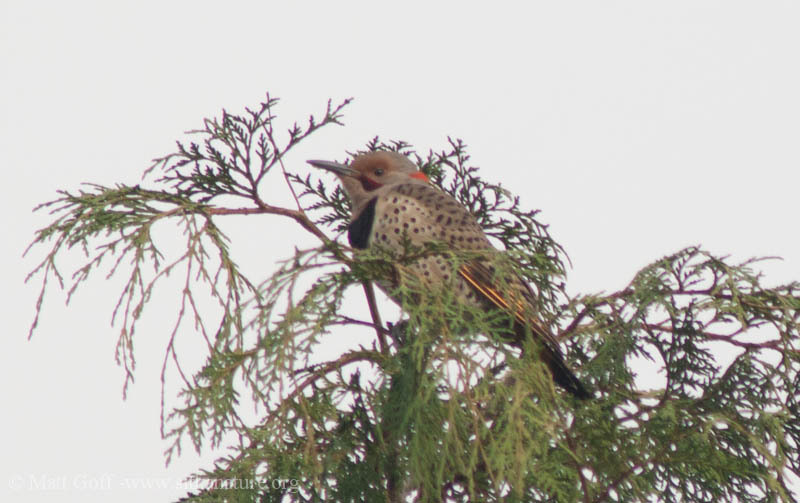 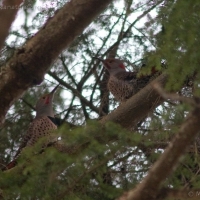 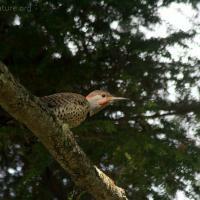 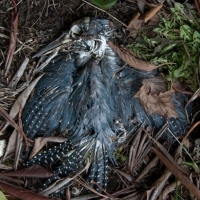 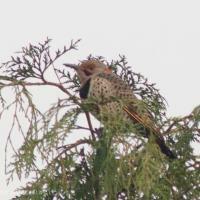 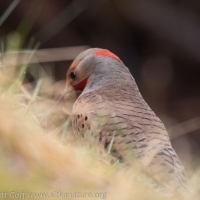 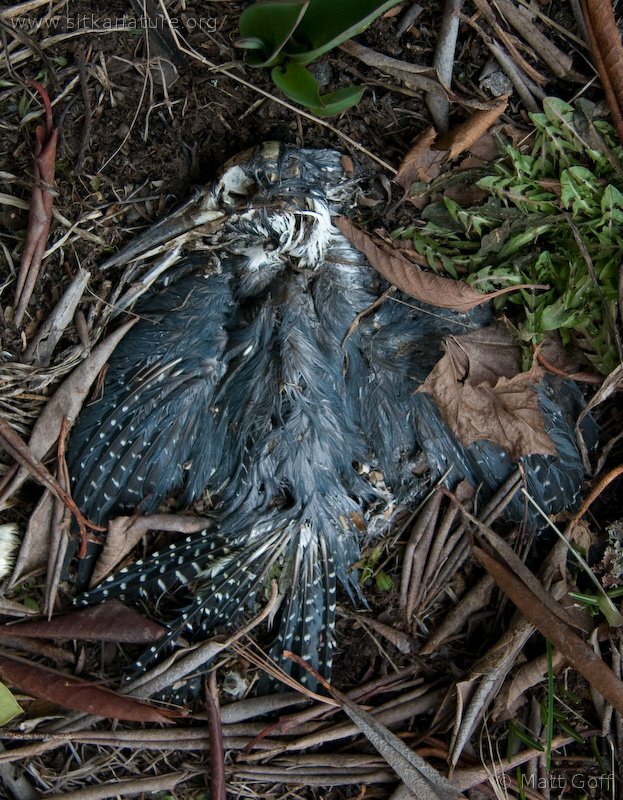 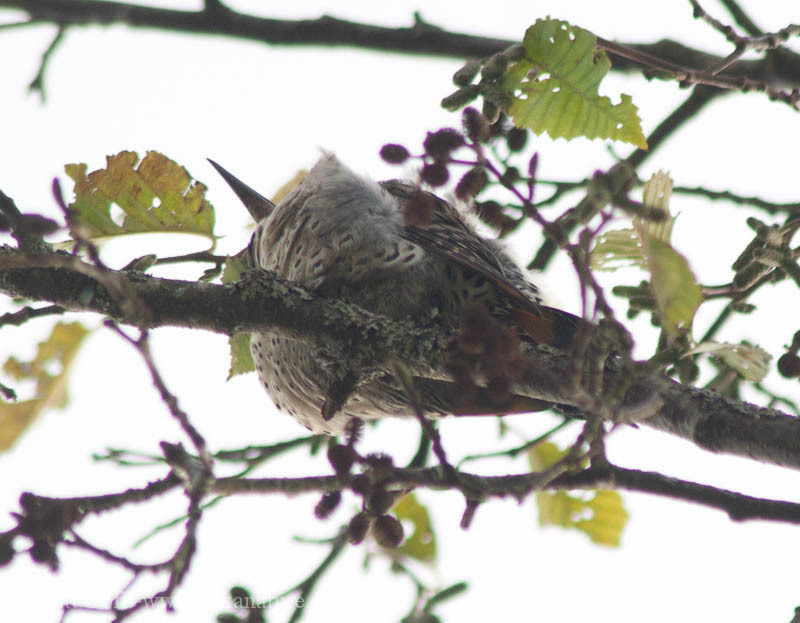 Across North America there are both yellow-shafted and red-shafted flickers. 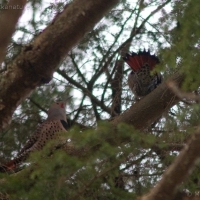 At one time they were considered separate species, but are now considered subspecies of the same species. 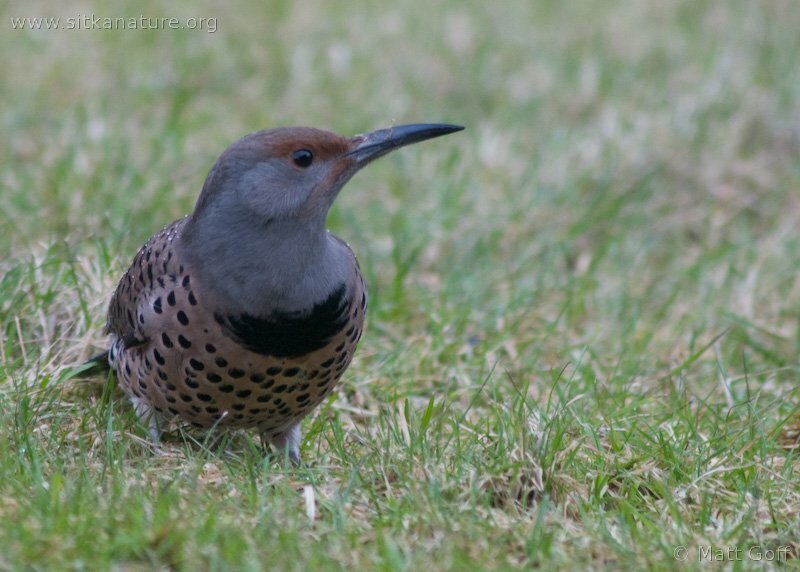 My impression is that most birds in Southeast Alaska show traits from both forms, and certainly the ones I’ve seen around Sitka do (though my impression is they’re a little more towards the red-shafted end of things). 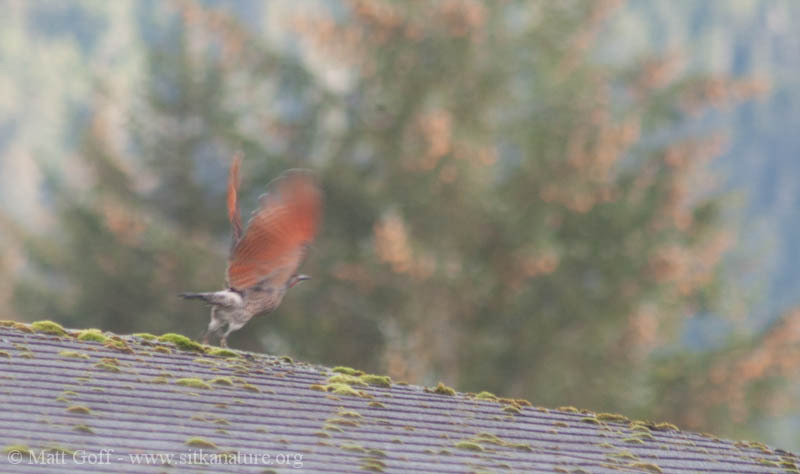 kóon doesn’t seem to be made up of any smaller meaningful parts that I can see.